More than 12,000,000 people have secured cheap flight tickets and good value hotels with the free Traveloka App. 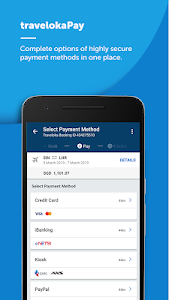 Pay for your flight tickets and hotel bookings through secure, various payment methods including credit cards, bank transfers, and over-the-counter payments across Southeast Asia. Receive your e-tickets or hotel vouchers instantly in your inbox. This is travel made easy. 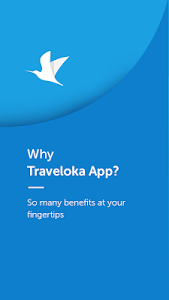 WHY USE TRAVELOKA FLIGHT & HOTEL APP? Our travel application offers you the cheapest flights and lowest prices of hotel rooms — no booking fees, no hidden charges involved. All prices shown already include applicable taxes and surcharges. Price you see = price you pay. 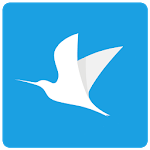 Fly worldwide in one single tap. 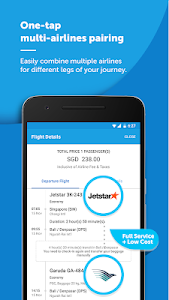 Our free travel app combines multiple airlines for different legs of your journey, and ensure you reach your destination at the cheapest price possible. 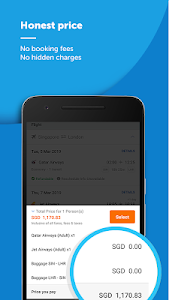 Auto-fill your booking form with our Travelers Picker feature, complete your payment in one single tap with My Cards, and receive your flight ticket or hotel voucher in your inbox in less than 1 minute. Register or log in to enjoy these in-app features. 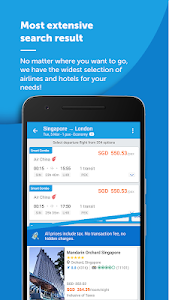 Find cheap flight tickets to Singapore, Malaysia, Thailand, Vietnam, The Philippines or anywhere else in the world from our wide selection of low-cost and full-service airlines: AirAsia, Garuda Indonesia, Malaysia Airlines, Singapore Airlines, Cebu Pacific, and many more. For hotel booking, get awesome hotel deals from cheap to 5-star luxury hotels in major destinations including Singapore, Malaysia, Thailand, Vietnam, Philippines: Hilton, Red Planet Hotel, Fragrance Hotel, Marriott, Best Western, etc. Forget printing your tickets. 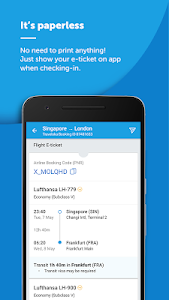 Our free travel app stores all your flight tickets and hotel vouchers in your account, making it accessible on multiple devices — even without internet connection. With our free travel app, book round-trip cheap tickets with selected airlines marked with “Smart Combo” today and save up to 40% on your international travel! 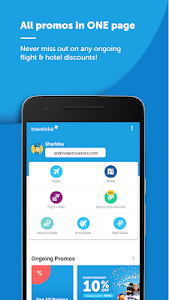 Traveloka offers app-only deals and notifies you when cheap flight and hotel special promotions are available. Also find real-time discounts on hotels near you with this hotel app. Never miss any deals again with our handy flight & hotel app! Our Customer Service team speaks English, Indonesian, Malay, Thai and Vietnamese — and are available 24 hours every day to address your questions. 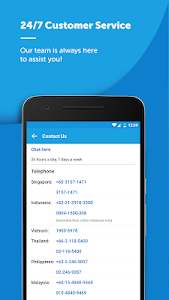 Reach us by phone, email or live chat, from anywhere in the world.